Less a portrait of the artist as much as it is the search of a guy figuring out how to make it all matter. 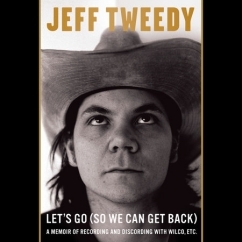 By titling his memoir Let’s Go (So We Can Get Back), songwriter Jeff Tweedy suggests a deep reclusive desire. 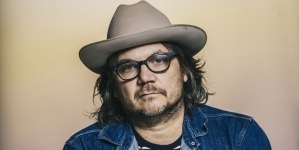 Throughout the book, though, the Wilco frontman spends most of his time thinking through his relationships with others, whether its Jay Farrar and Jay Bennett or, even better, his parents and his wife and sons. Tweedy’s meditations do turn introspective, but the book isn’t a portrait of the artist as much as it is the search of a guy figuring out how to make it all matter. That he delivers his thoughts with a witty conversational tone (and just a touch of pastiche) makes the book as comfortable as it is engaging. Tabloid-checkers might want to jump to the potentially juiciest bits: the Uncle Tupelo split, the fights with Bennett (covered memorably in the documentary I Am Trying to Break Your Heart), the addiction issues. 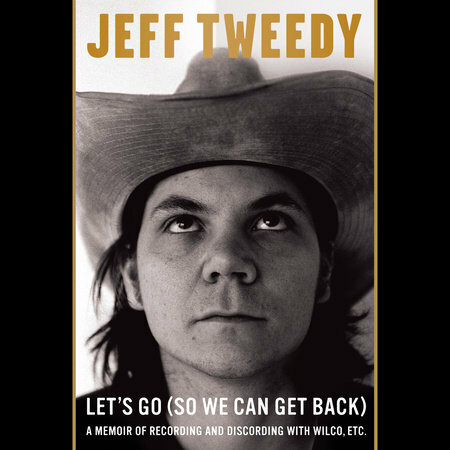 Tweedy covers those topics with apparent openness, but they make more sense in the larger biography than as answers to the “What really happened?” questions. On his former bandmates, he offers melancholic realism, but he dwells more on the upside, particularly the excitement of early experiences. His addiction comes across as unromantic and destructive, with a sensitive and concerned delivery. These stories—and those about his childhood or the comic-strip rendition of meeting his wife—fit into broader ideas that Tweedy conveys. Whether he’s talking about making music or being in a family, the need for healing and healthy connections comes through. He writes, “I think that may be the highest purpose of any work of art, to inspire someone else to save themselves through art.” Music has a power to communicate, to resist, to encourage, and it fits into a larger conversation that takes places between writers, performers and listeners. That’s not to say an artist must hurt. Tweedy clearly articulates his disbelief in the myth of the suffering artist. He believes that “everybody hurts deeply” and that some forms of hurt can be turned into art, but another idea remains more essential. He says, “I think that artists create in spite of suffering, not because of suffering…you’re one of the lucky ones if you’ve found an outlet for your discomfort or a way to cope through art.” That point of view enables him to turn his “superpower” of vulnerability into his music. Dedicated fans may enjoy that look into songwriting but feel disappointed that he moves away from writing about Wilco, more or less, after the creation of A Ghost Is Born. The narrative from, in summation: we got some new musicians and did some records. He turns, instead, increasingly to his family (who also help him make music, of course). With Tweedy still enamored with his wife and impressed by her strength, and fascinated by their two sons, the central themes of the book start to cohere. 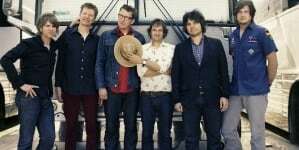 When Tweedy describes Wilco as “an art collective,” it makes sense. This music stuff might be about a lot of things, but it’s certainly about community and connection from the adolescent excitement to finding someone else who likes the same weird bands to the adult joy of listening to your kid play an instrument. Tweedy manages to deliver these sentiments without a touch of schmaltz. His straightforward prose and persistent humor keep the book moving, the successful “conversation with a friend” tone. He can be self-deprecating or romantic, but never maudlin, and the introspection doesn’t lead to navel-gazing. 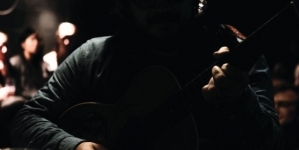 Tweedy reveals himself both directly and obliquely as stories and emotions accumulate, always welcoming us in. Part of the story involves him becoming comfortable with himself, a fitting development for someone so reflective on connecting oneself with another. WARM plays more personally than much of Tweedy's work. 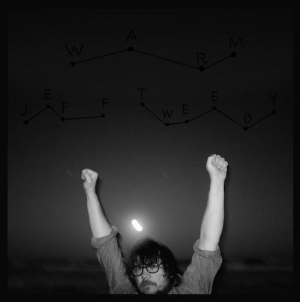 Who knew that Jeff Tweedy is a fan of fart jokes?